Although the temperatures in North Carolina might say otherwise, autumn is less than a week away! There’s something truly refreshing about this time of year and no other season provokes such a fresh take on what we’re wearing. 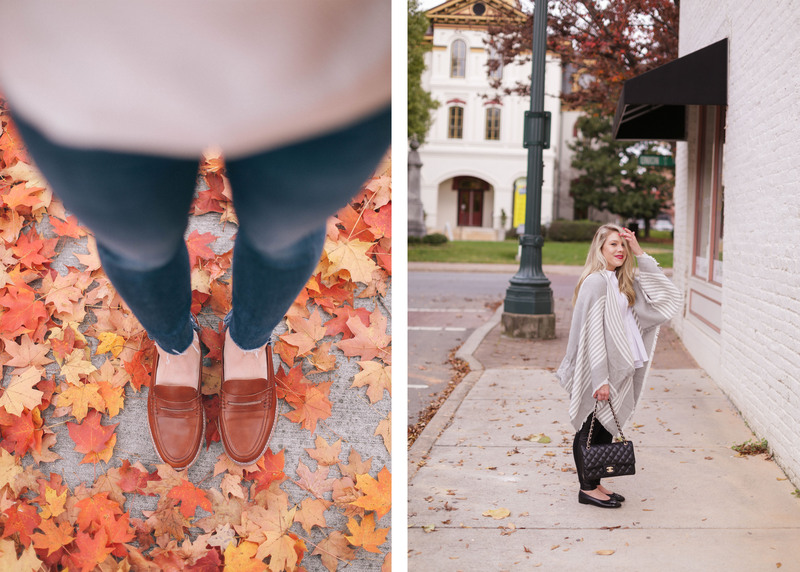 Over the weekend I took the time to carefully organize my closet in preparation for fall – bringing forward boots, beautiful textures, rich hues and layers for endless outfit options. This is always my favorite season to buy investment pieces. 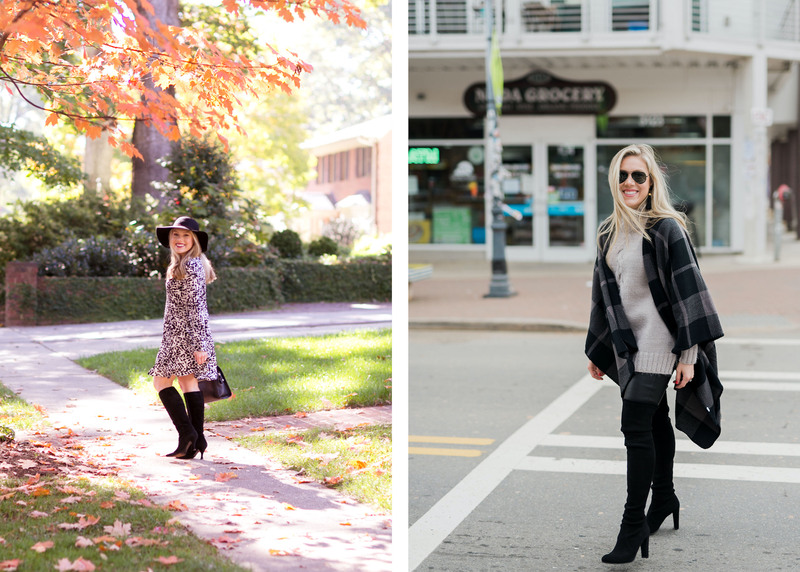 Take a peek at some of my past favorite fall looks and the pieces I’m loving and buying for fall 2018. 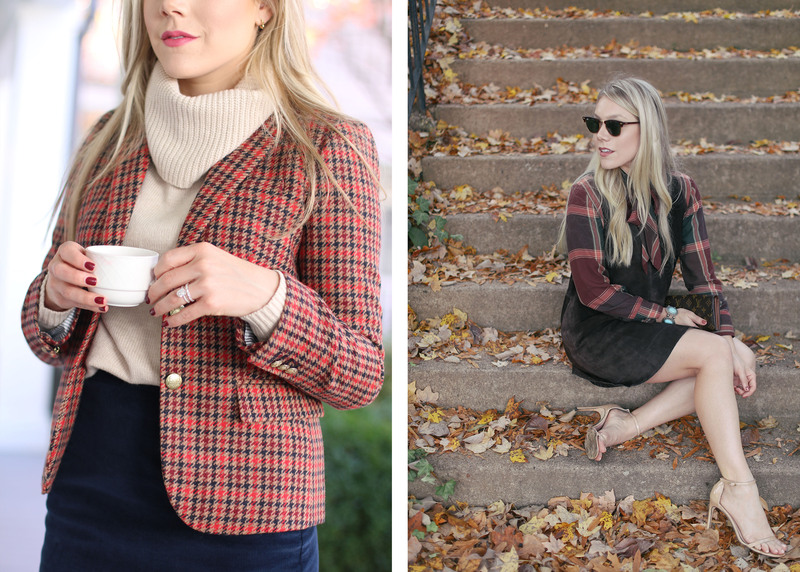 Fall without plaid? Not possible! This season I have my eye on a handful of plaid pieces including, pants, skirts, relaxed blazers and coats! Plaid outerwear is the ideal layering piece and can easily be dressed up or down. I’ve included a few of my favorites below. I tend to go for more monochromatic tones, as they often pair well with a wide variety of things. These are the boots I will be wearing all season long. I own a pair of black knee-high and over the knee suede boots, both of which were a huge splurge for me. The tall silhouette is timeless, and pairs well with pants and skirts. Taller boots are also great for extending the wearability of dresses into the colder months. For the past two seasons, I have wanted a pair of knee-high boots in a caramel hue. Last week I finally pulled the trigger on this pair from Sezane! Considering their comfort and tasteful designs, I think Sezane boots are among the most reasonable priced options available. While boots are just all-around expensive, below is a round-up of affordable options worth considering! Every September, I start to keep my eyes peeled for cozy sweaters in rich, seasonal colors. 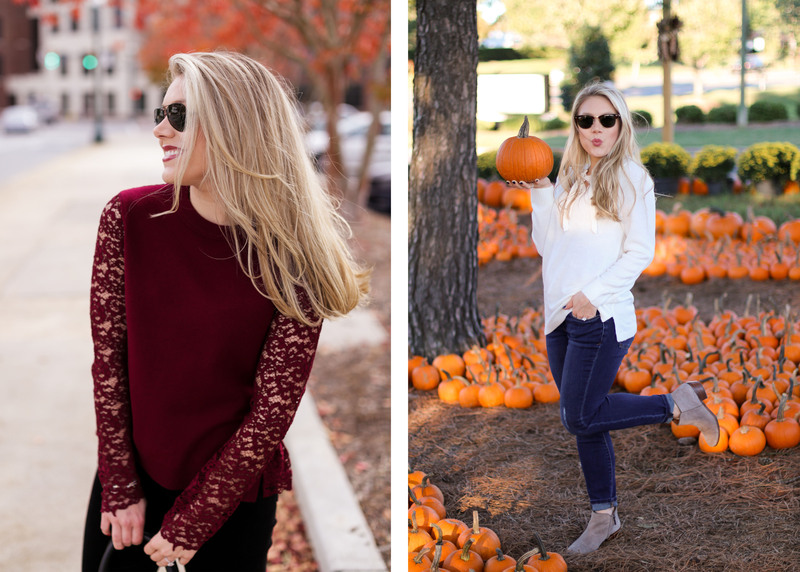 Warm, soft and easy to style or layer, I’m not sure you can ever have too many fall sweaters! This year, I’m loving sweaters with textured details like this Olive sweater or this marigold crop from ASTR. 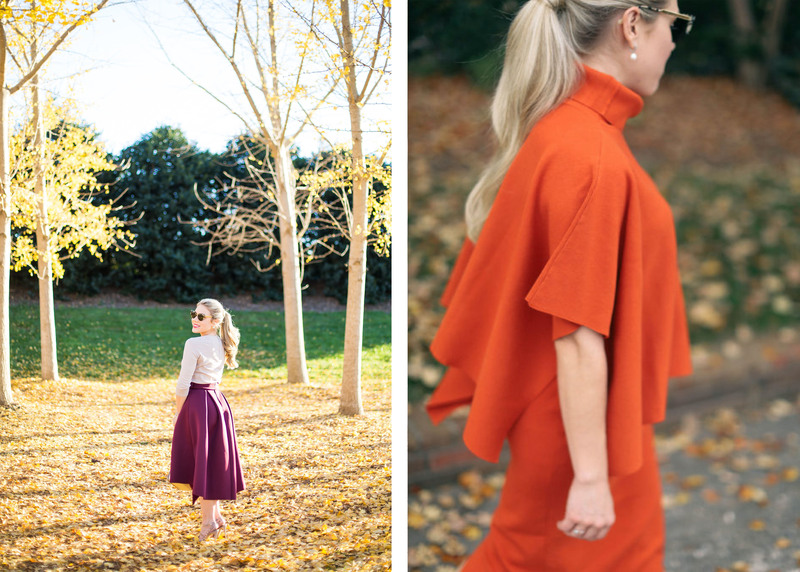 This year I want to incorporate more skirts and dresses, both new and old, into my fall wardrobe! Taking pieces I already own and layering them with boots, hosiery, sweaters and scarves. Layering blouses under sleeveless dresses and sweaters with mid-length skirts. These are just a few outfit ideas I have in mind for the upcoming season! Styling boots with mid-length skirts and dresses is something my mom does really well, and a style I want to embrace this season! Below are a few favorites! From deep ruby, aquamarine, marigold, and finally, my personal favorite, emerald, jewel hues are the apple of my eye this season. They make a stunning statement and are a refreshing punch to my closet after a summer of delicate pastels. They help give life to my pale skin and soft features (pastels often wash me out)! Bright red is said to be a big color this fall! I can certainly get on board with that! From recipes, front porch decor, DIY’s and fun outfit options, I have so many exciting posts planned for the season! I don’t know about you, but there’s something about fall that always brings a welcomed refresh, and it’s a season I always look forward to year after year.